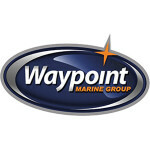 Experience, skill and knowledge come together at Waypoint Marine Group. As a premier provider of comprehensive services to yacht owners in the Pacific Northwest, and with over 100 combined years of repair and management experience in the maritime industry, we ensure you the finest care whether it is a one-time emergency or the necessary ongoing maintenance and service an offshore vessel requires. We cater to your needs either on-site or at our fully-equipped facility near the Ballard Locks. Superb repair, engine maintenance, system installs and upgrades, fiberglass repair and refurbishment, fine woodworking and Bristol-condition detailing are the hallmarks of our ABYC and NMEA certified technicians and skilled shipwrights. We offer dockside service at our Ballard Locks location at Jacobson Terminals, mobile service to your location or pickup and delivery. I had my tender serviced here. They were able to find and fix a couple slow leaks on my walker bay. They also replaced a carburetor that was giving me grief in its inability to idle consistently after many tweaks and rebuild. Cost was a little high but no complaints on work performed. They were a little pricey but very convenient. I needed my tender’s outboard serviced and I was able to cruise it over and they pulled it out of the water for me. Had it launched and ready for me to pickup on a Saturday, which was nice. Communication could have been a little better, but the motor seems to run better now.